It was not until 1657 that Christiaan Huygens introduced the pendulum as the oscillator for clocks, which produces a big improvement in accuracy – it actually becomes relevant for a timepiece to have a minute hand. 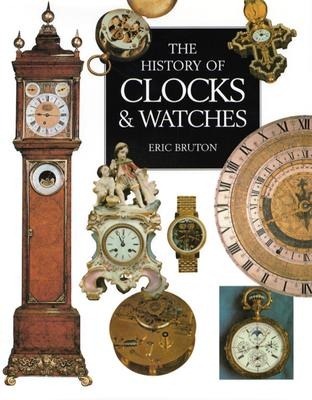 Huygens made repeated contributions to the development of the clock, although he had a clockmaker implement his ideas in much the same manner as Robert Hooke had Thomas Tompion implement his ideas. As early as 1598 Philip III of Spain had offered a reward for a method to find the longitude, it was a well-recognised problem well before the Board of Longitude was created in England to provide a prize for its solution. John Harrison and his marine chronometers for determining the longitude are covered in some detail, extending beyond his life to cover the developments of other clockmakers including John Arnold, Thomas Mudge, Thomas Earnshaw and Pierre Le Roy. Harrison is famous for his dispute with Nevil Maskelyne, the Astronomer Royal, and something of an embodiment of the Board of Longitude that funded his work but it seems that clockmakers of the time were disputatious with each other and the Board. The fields of astronomy and timekeeping are tied together, many early clocks went to great lengths to show astronomical information such as the phases of the moon. Even in the 20th century the most precise mechanical clocks were made for astronomical use, in the past Thomas Tompion was renowned for his precision timepieces supplied to the Royal Observatory. Whilst Christiaan Huygens made revolutionary advances in both clock design and telescopes. There is a relationship between dividing a quadrant, a device for measuring angles in astronomy, accurately into increments and dividing the gear wheels of a clock accurately to position the teeth. Personal timepieces date from the late 15th century, in fact prior to this people carried personal sundials or even used themselves as the pointer in a simple sun clock. The challenge with a watch is to produce a compact timepiece, meaning small parts, which is robust to the forces that being carried around all the time exert. I have to say here that the watches that Abraham-Louis Breuguet made at the end of the 18th century are absolutely gorgeous (see here, for example). I found it surprising the degree of precision achieved in the pre-Industrial age in the manufacture of timepieces, but then I also found pre-Industrial lens grinding semi-miraculous. This probably says more about me then anything else but perhaps the message is that bespoke precision pre-dated the Industrial Revolution whose strength was in standardising components, introducing continuous workflows and making use of less skilled labour. At points in time specific areas of England, France, Germany, Switzerland and the US were predominant centres of manufacture with the US leading the way in mass production but the Swiss picking it up in Europe. The 19th century saw the arrival of trains and telegraph, these bring the need to standardise time and the means to do it. Scheduling of trains means that standardising time is to some degree a safety issue, the adoption of time zones in the US in 1876 was also driven by the railways. The adoption of Greenwich Mean Time occurred in 1880, the Greenwich Observatory had been providing a time single in the form of a dropping ball since 1833. The telegraph enabled such time signals to be distributed more broadly, and used automatically. Electricity was also incorporated in the running of the clock, the 1921 Synchronome electromechanical clock providing the ultimate in accuracy until the introduction of quartz and atomic timekeepers. The final part of the book covers the reduction of cost to mass produce watches which all could afford, this process includes simplifying the mechanisms and sacrificing accuracy where possible. It highlights the development of digital watches in the 1970s where the prevailing mechanism for testing the quality of electronic components was to sell them and see how many were returned! Coincidently the improvement in accuracy for successive entries in this table is 100-fold. The book is heavily illustrated with pictures of timepieces, diagrams of mechanisms and engravings of workshops. I rather like this, but in places it feels like you’ve seen an image before in relation to an earlier section of the book. Although the book is logically arranged, in fact I borrowed the logic to structure this post, the presentation of how clock mechanisms work is disjoint, and scattered throughout the book. My follow on reading from this book is on Christiaan Huygens, he isn’t a central character here but he just turns up in so many different places! My Evernotes on the book are here.